For the young protagonist of this moving memoir, China’s Cultural Revolution is at first an exciting time: she’s fascinated by the furnace for making steel her family has installed in the courtyard of their home and cheers with her brother as their father shoots and kills sparrows, which are supposedly ruining crops. What begins as a period of unbridled optimism quickly turns into a dangerous and turbulent one, though, as Moying Li sees her teachers and headmasters beaten in public, her grandmother denounced, and her father arrested and sent to a labor camp, his library of books and records confiscated. Despite the ever-presents risks, Li finds refuge in learning and literature, working off of a list of banned books her father has sent from the camp. This inspirational autobiography is ultimately an ode to the power of imagination, knowledge, and reading. Para la joven protagonista de estas memorias conmovedoras, la Revolución Cultural de la China es al comienzo un tiempo deslumbrador: le fascina el horno de hierro que su familia ha instalado en el patio de la casa y aplaude con su hermano mientras su padre dispara y mata gorriones, los cuales supuestamente están arruinando la cosecha. Sin embargo, lo que comienza como una época de optimismo desenfrenado se convierte peligroso y turbulento mientras Moying Li ve cómo golpean sus maestros y directores en público, denuncian a su abuela y se toman preso a su padre, confiscando sus libros y discos. No obstante los riesgos omnipresentes, Li consigue refugio en el aprendizaje y la literatura, usando como referencia un listado de libros prohibidos que su padre le ha mandado desde el campo de trabajos forzados. Esta autobiografía inspirante es, en fin, una oda al poder de la imaginación, el conocimiento y la lectura. Moying Li was born and raised in Beijing, China, and moved to the United States to pursue graduate studies. She is the author of "Beacon Hill: The Life & Times of a Neighborhood," which won the Julia Ward Howe Book Award from the Boston Authors Club. She lives in Boston, Massachusetts. 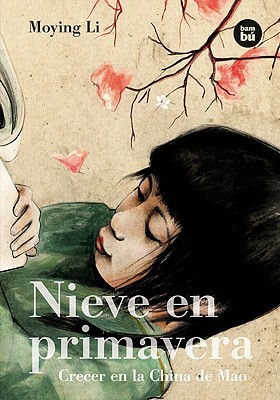 Noemi Risco is a translator who specializes in fantasy and suspense novels as well as children s literature."